Eurotard Dancewear offers a great selection of styles that are easily transformed into unique individual or group costumes. High quality, essential pieces such as leotards, unitards, skirts, and overlays can effortlessly be converted or combined to create the perfect costume for your choreography. 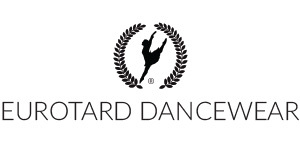 Eurotard products are available through local dancewear retailers and online at eurotard.com. For more information on Eurotard products and programs, contact your local dancewear retailer or visit eurotard.com.